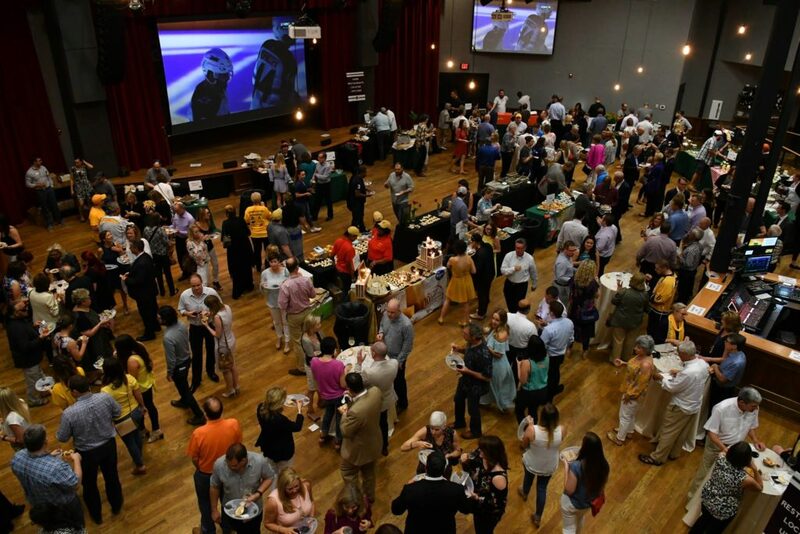 Generous Helpings, the popular annual food & wine tasting event and fundraiser for Second Harvest Food Bank of Middle Tennessee, will take place Thursday, May 9, 6-9 p.m., at City Winery. Tickets are now on sale, available at the event website. The early bird price is $50 per person, which increases to $60 on April 18. Tickets include tasting-sized portions of signature appetizers, entrees and desserts from 30 local Nashville restaurants, fine wines and craft beers, and a culinary themed silent auction. Participating restaurants include 8th & Roast Coffee Co, Barcelona Wine Bar, Biscuit Love, Char, Chivanada, Christie Cookie, City Winery, Deezieâ€™s Hot Chicken, Funk Seoul Brother, Goo Goo Shop & Dessert Bar, Hathorne, Hemingwayâ€™s Bar & Hideaway, HoneyFire BBQ, Kickinâ€™ Coffee & Tea, Kroger (Murrayâ€™s Cheese), Pemrose, Saltine, Sinema Restaurant & Bar, Sucker Brunch, Tansuo, and Von Elrodâ€™s Beer Hall & Kitchen, with more to be announced on the event website. Proceeds from Generous Helpings and the Chefsâ€™ Dinner will benefit Middle Tennesseeâ€™s Table, Second Harvestâ€™s grocery rescue program. Middle Tennesseeâ€™s Table is designed to reduce both hunger and food waste byÂ rescuing, sorting and distributing frozen meat, dairy, produce and dry groceries from more than 220 grocery stores and food donors. Last year, Second Harvest distributed 31 million pounds of food including nine million pounds that were rescued through this program. Also returning in 2019 is the Chefsâ€™ Dinner, an exclusive kickoff event for Generous Helpings. This yearâ€™s dinner is Monday, April 29, 6 p.m., at Le Sel. Led by Bastion executive chef Josh Habiger, the multi-course dinner will feature dishes by esteemed Nashville culinary talent Hrant Arakelian of Lyra; Â Daniel GormanÂ of Henley; Josh HabigerÂ of Bastion; Jake HowellÂ of Peninsula; Trevor MoranÂ of Locust (coming soon); Deb PaquetteÂ of Etch and Etc. ; and Julia SullivanÂ of Henrietta Red. 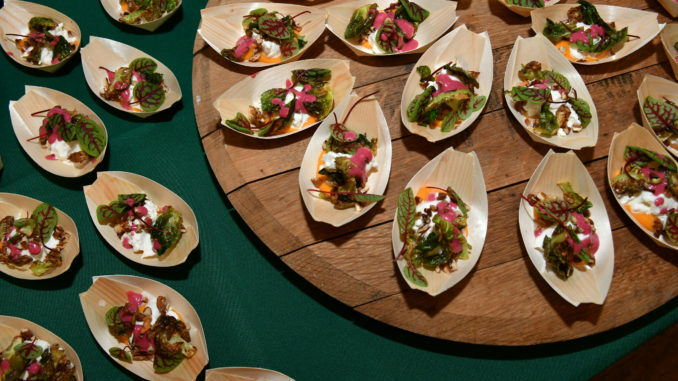 Tickets for the Chefsâ€™ Dinner are $195 per person, which includes entry to the main Generous Helpings event. Availability is limited and the Chefsâ€™ Dinner is expected to sell out. Visit the event page for more information, and contact Chelsey Wells, Events Manager, for Chefsâ€™ Dinner tickets (615) 627-1565. Generous Helpings 2019 is sponsored by Kroger and their Zero Hunger Zero Waste initiative. 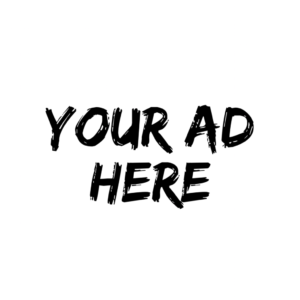 2019 event sponsors include CMT and Sysco Nashville, Blue Ribbon Sponsors; Ajax Turner Co. Inc., Carvana, Dell, Lipman Brothers & R.S. Lipman Company and Oracle + Netsuite, Five Star Sponsors. Organized in 1978, Second Harvest Food Bank of Middle Tennessee is a private, not-for-profit, tax-exempt organization. Second Harvestâ€™s mission is to feed hungry people and work to solve hunger issues in our community. Second Harvest distributes food and other products to approximately 490 nonprofit partner agencies in 46 counties in Middle and West Tennessee. Our partners include food pantries, soup kitchens, shelters, childcare facilities, senior centers, group homes, and youth enrichment programs. For more information on Second Harvest Food Bank of Middle Tennessee and its programs, please visit secondharvestmidtn.org.